After you leave college and start to build your life, the numbers you pay attention to will change. Instead of GPA’s and exam scores, your focus will shift to bank balances and credit scores. As a recent college grad, it’s important that you have an awareness of these numbers right from the start so that you can build a solid financial foundation for yourself. Plus, you’d be shocked at how many people have errors on their report, and you need to get those fixed. For example, student loans can create big problems on your credit report. One of the numbers you should know well is your credit score. Here’s why. Your credit score is important for a variety of reasons. One of the most commonly known (and very important) is getting a good interest rate on debt. Throughout your life, it’s likely that you’re going to need debt in some form whether that be a mortgage, car loan or maybe to refinance your student loans. 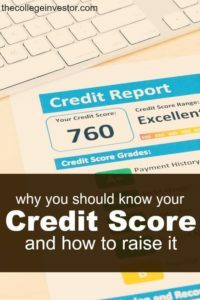 Your credit score will not only determine whether or not you are able to take out a loan, but it will determine how much you pay in interest over the duration of the loan. Let’s say that you’re ready to buy your first home. You find a house for $100,000. You’ve got an excellent credit score of 780, so you’re able to secure a 30 year mortgage with an interest rate of 4%. Your brother is also buying a house identical to yours for $100,000. Unfortunately, his credit score is quite a bit lower than yours at 695. He’s able to get a 30 year mortgage with a 6% interest rate. Your monthly payment is $477. You end up paying a total of $171, 870 over the course of your 30 year mortgage. Your brother’s monthly payment is $600. He pays a total of $215, 838 over the course of his 30 year mortgage. Your brother ends up paying an extra $43,968 more than you for the exact same house! Many would argue that it’s going to be hard to find a home at $100,000 and it could be. If you live in the Midwest this price is reasonable but if you’re in a higher cost of living area with expensive homes your bad credit can cost you way more than the $43k. The more money you need to borrow the more you’ll be paying in interest – this makes your credit score extremely important. If you’re wanting to save money (and really, who doesn’t?) your credit score is paramount. But it doesn’t stop there. Your credit score can affect you far beyond determining loan eligibility and interest rates. Renting – If you’re trying to rent in a competitive market, you better believe that your credit score is going to be a big factor. Landlords want responsible tenants who will pay on time and take care of their property. Since a credit score is a measure of your fiscal responsibility, it’s a good indicator of what type of renter you will be. Almost all landlords in major cities run credit checks on tenants. Late payments and other marks on your credit could cost you that apartment you want. Insurance – Many home and auto insurance companies use a version of your credit score to help determine your premium. The lower your credit score is, the higher of a risk the insurance company is taking on and the more you’re going to pay. Employment Opportunities – We see again here that credit is being used as a measure of responsibility. Some employers are now checking credit reports to take a peek at your financial habits. A spotty payment history could keep you from your dream job. (Potential employers MUST have your permission to pull your credit report though.) Furthermore, if you plan on holding a job that requires a security clearance, you need to have good credit or you could lose the opportunity. Now that we’ve covered exactly why your credit score matters, I’ve got some good news for you: no matter how little or how bad the credit you have is, there are some simple things you can do to improve it. Your first step is knowing exactly where you stand. Once you know your credit score you need to understand how that number is calculated…. As you can see your payment history and the amount you owe make up a whopping 65% of your credit score! 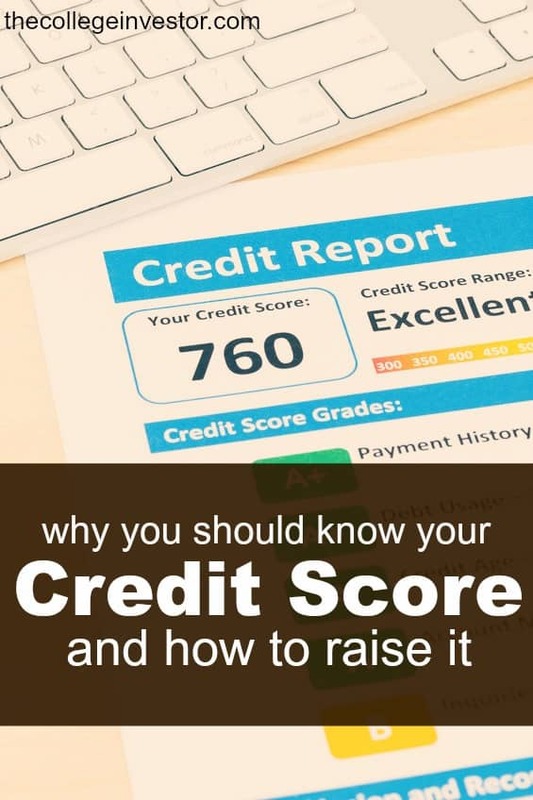 This means that the two most important things you can do to improve your credit score are to always pay your bills on time and to lower the amount of debt you have, assuming you have a high debt load. Focus on making payments on time, getting a good handle on your debt situation and not applying for new debt unless necessary and when well planned out. Other things like the length of your credit history and credit mix ill fall into place over time. It’s also advisable to continue monitoring your credit score. If you sign up with Credit Sesame you can monitor your credit score on a monthly basis, get personalized tips and tools, and receive free credit and fraud alerts. While improving your credit score isn’t quick or easy the steps you need to take are simple. Stick with the plan and overtime you’re going to see a significant improvement. This article was brought to you by Credit Sesame, but all opinions are our own.